As cool as it is, I just can't find myself spending $50 on a voyager sized figure...especially with Commander class Skyfire and Titan Omega Supreme around the corner. 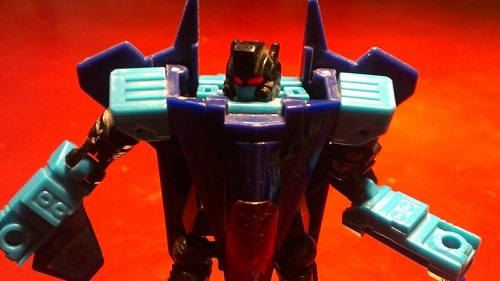 I am intrigued that he's a retool of a CW torso...maybe the 80s Icon combiner I mentioned not long ago is a reality on the horizon... KITT, Airwolf, ATeam Van, maybe GI Joe vehicle, MASK vehicle...anything Hasbro has license to. Ectotron gives me hope they will make the Enterprise transformer they just had in the comics... the New Commander Class will work just fine. The combiner aspect was gutted from the figure. 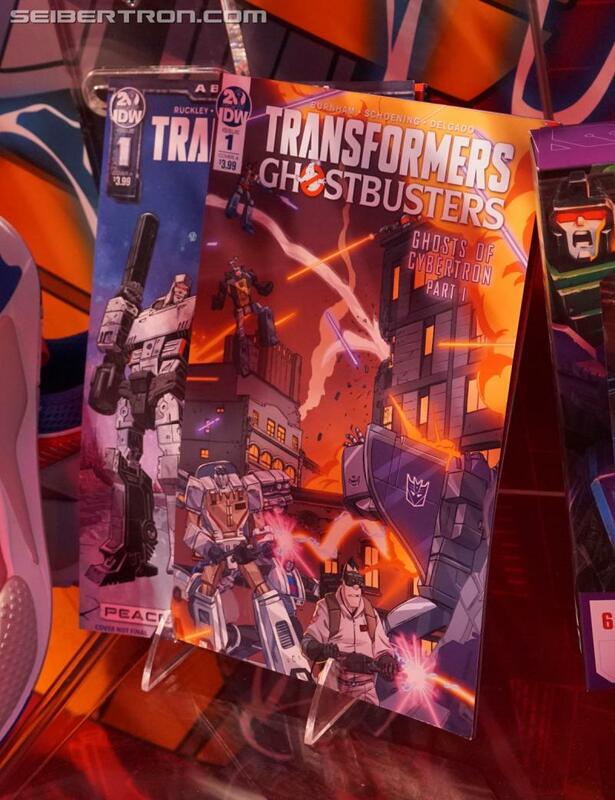 The big reveal of the week, the Transformers-Ghostbusters crossover toy was on display at the 2019 New York Toy Fair. 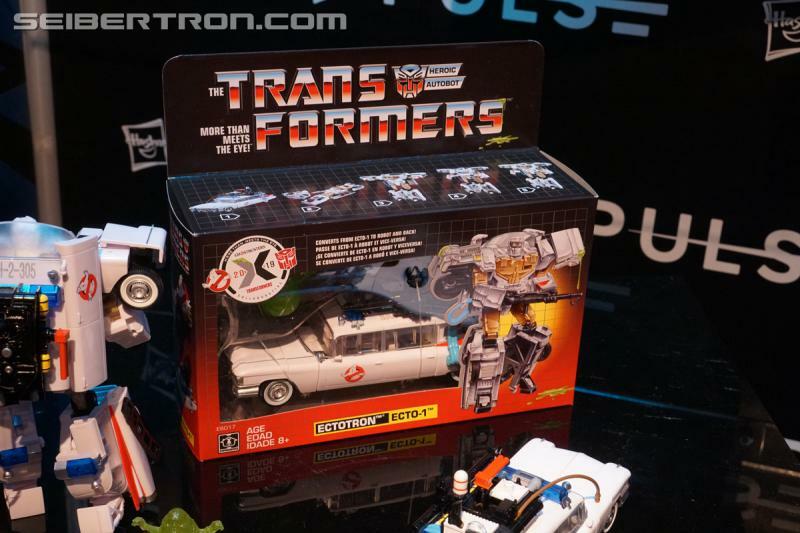 This is a voyager sized Transformers figure that goes from the famous ECTO-1 car into a Transformer called Ectotron. There is an IDW comic linked to this as well and you can see images and a video of both the toy and the comic below. The toy shares some similarity to the Combiner Wars Hotspot mold but only a the basic structural level. It does not have any of the combiner elements. The box is very retro, in theme with the 80s era that both fo these franchises emerged from. 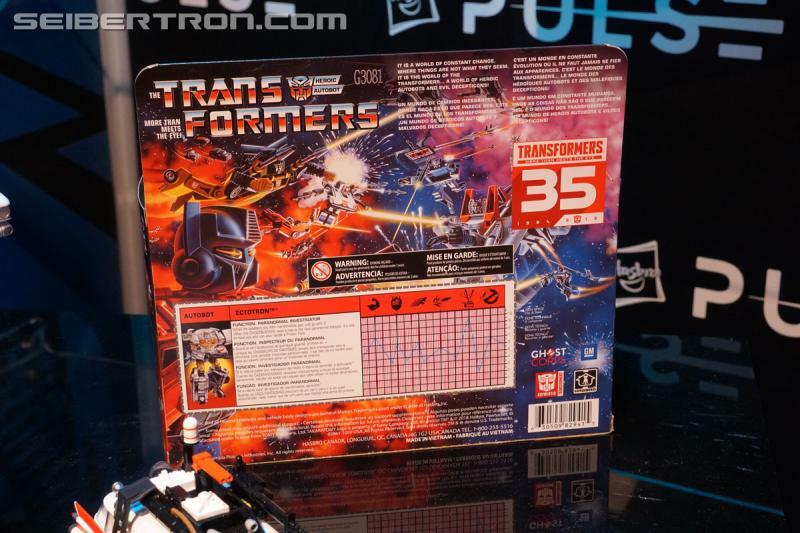 It is styled like other boxes of the G1 era and we even have an image of the tech specs. This is a Gamestop an EB Games exclusive for $50 USD and it can be preordered right now. 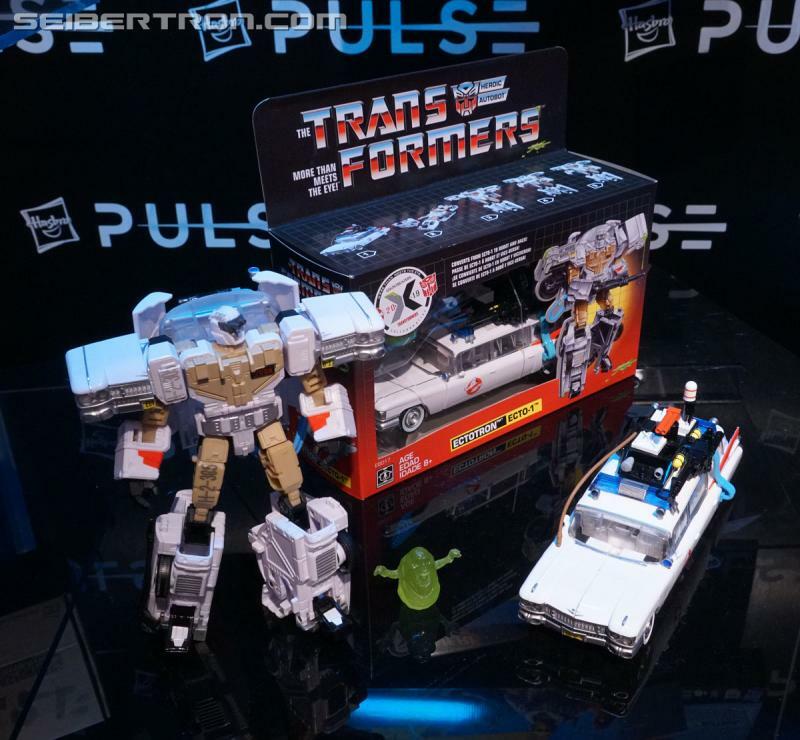 It was also available in limited quantities on Hasbro Pulse. Clicking on any of the images below will bring you to the full gallery of what was on the show floor. We also have a video of said show floor below. You can view all of our galleries from the 2019 New York Toy Fair by clicking here and you can see all the videos from the 2019 New York Toy Fair by clicking here. On a scale of one to ten, how does bustin' make you feel? One being bad, ten being amazing. That box makes me feel like I missed out. Why wasn't that pictured on the pre order page? Might have an impulse moment of I spot one at gamestop. kinda makes me want more classic cars in the movie line or something. like, the modern movie masterpiece guys, but as old 60's and 70's cars. or hell, give me one of those old huppmobiles or the like. Motto: "I've waited 30 years for a Dinobot combiner, and this is what I get?" Dear God, there goes my budget. The General Lee will never happen. The Confederate flag on the roof will scuttle that one. Would people really be outraged if they just stuck an American flag on the General Lee? 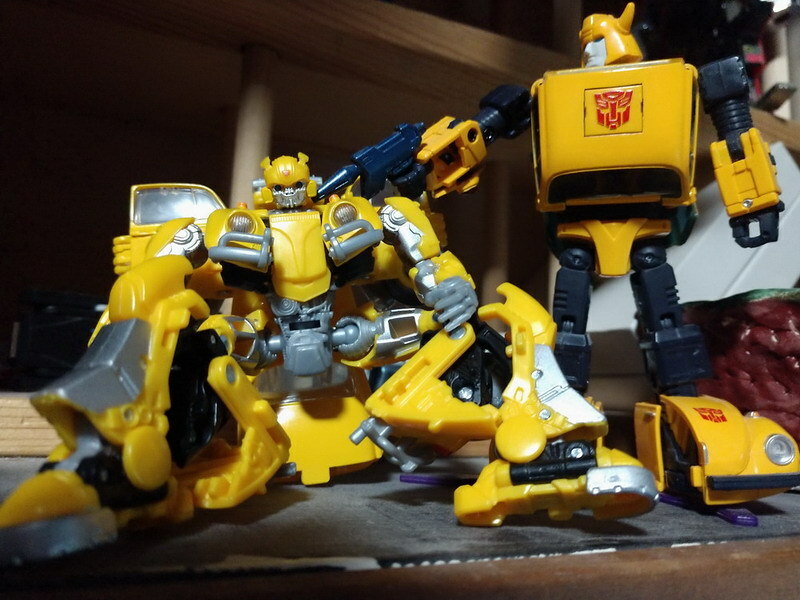 Anyway, I just thought of another one that Hasbro could very easily do since they already have the license. And it could just be a reshell with new back, car shoulders, lower legs, and head. And package him in Beast Wars style packaging. Emerje wrote: Would people really be outraged if they just stuck an American flag on the General Lee? We could get the General Lee, but minus the Confederate flag. They've removed the flag on slot cars and some model sets and it's still recognizable as the General Lee with the big "01". There were 3 shortlived motorcycle shows, M.A.N.T.I.S., Streethawk, and one I can't for the life of me remember the name of. Would also like to see Baby from Supernatural. They lost the licence after there JP toys failed... They where kinda crappy sadly. I love your Idea though. Skritz wrote: as this looks like it could be a Generations figure. That's because it is. It's based off of the CW HotSpot mold. Well, what do you know, they do share parts! Just the upper arms and legs though, the rest is all new tooling. Does that really make a figure a retool, or a part-recycler like Siege Chromia is? 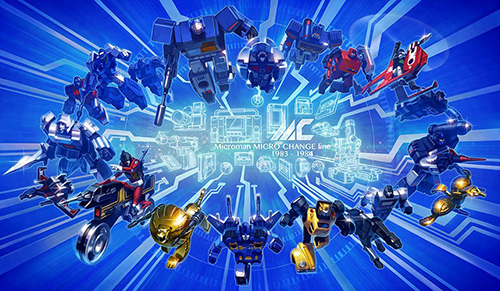 Emerje wrote: Anyway, I just thought of another one that Hasbro could very easily do since they already have the license. They dont, all those jurassic world toys you have been seeing in stores since last year are from Mattel. Rival toy companies lay aside their differences to bring their collective fans the ultimate crossover, He-Man vs the Transformers! I mean at this point we're all just talking out our asses about fantasy mashups right? Never even noticed. Hasbro/Kenner had the line for so long it didn't occur to me that someone else would have the license. 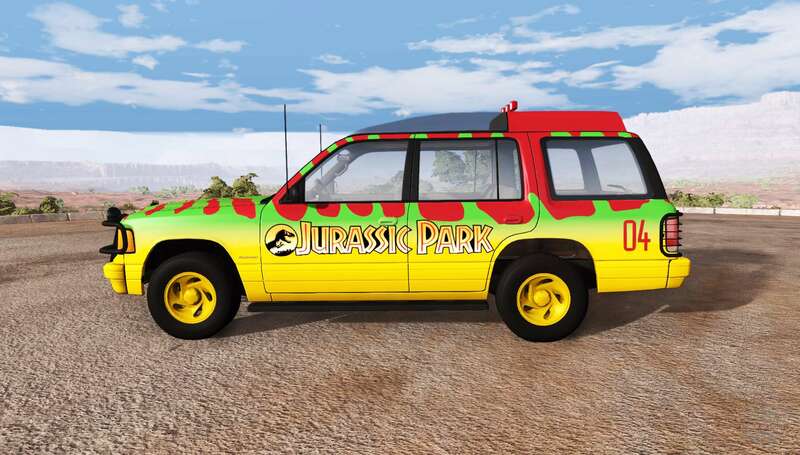 Still, as long as Mattel doesn't randomly make a transforming JP tour car then a 1-off license is possible. This is frikkin brilliant and I love it! I need to get a pre-order placed, I need this. Personally, I would love for Baby (Supernatural), the General Lee (Dukes of Hazard), and KITT/KARR/GOLIATH (Knight Rider) get this treatment. This is fantastic. Ya know, the A-Team Van would rock too, especially with a mohawk. Streethawk was the one I was thinking about. I don't remember MANTIS having a bike. Pretty sure it was a flying car named the Chrysalis or something. How about a female retool of Hound as Dixie, Daisy Dukes' Jeep? And because I'm a sucker for combiners, a combiner of all the Bat vehicles - Batwing, Batboat, Batcopter, and any of a dozen different Batmobiles. To be honest, I wouldn't mind either the movie version or the Next Generation version of the Mach 6 either. I love this idea! Also missed the Mystery Machine. that would be killer too!! I'd love to see a Tron Light Bike mash up. Would it's name be Trontron? Cobotron wrote: I'd love to see a Tron Light Bike mash up. There's only one logical step from this: a gestalt team made from the Batmobiles. 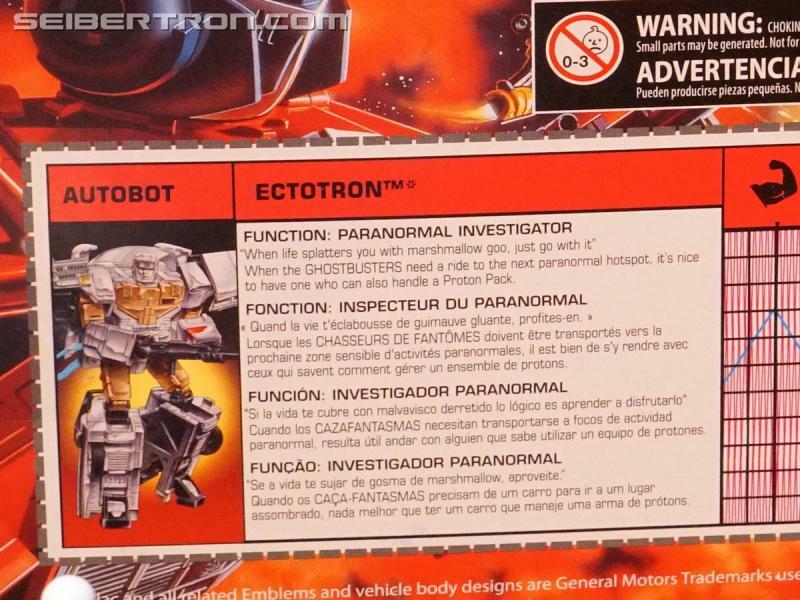 I see a lot of people making suggestions of vehicles where they turn into a character from the property the vehicle is based on but I much prefer what Hasbro has done here with Ectotron by making him his own character. Link to My Sell & Trade Thread! CHUG, Animated, Movie Toys & More! Prices & Want List Included! Motto: ""I'm not even supposed to be here today!"" Stopped by my closest EBX on Sunday, pre-ordered at $59.99 Canadian. Much better than the $80+ US HasbroPulse wanted to charge to ship one here. Once I ran an Anime festival with over 6,000 attendees. Now... not so much. 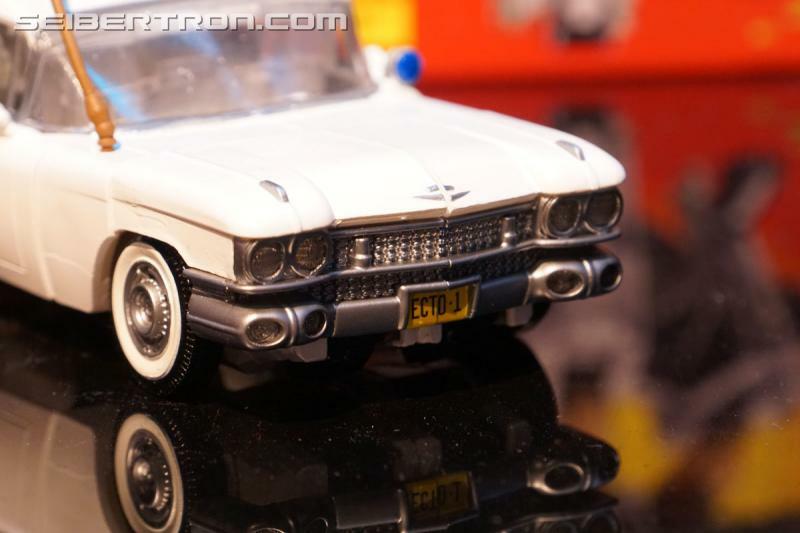 NOBLExGAMER wrote: I see a lot of people making suggestions of vehicles where they turn into a character from the property the vehicle is based on but I much prefer what Hasbro has done here with Ectotron by making him his own character. I haven't seen that here at all, everyone in here has been naming vehicles to turn into new robots like Ectotron. This has also made me think that we need a Scooby Doo/Ghostbusters crossover. They did it with Supernatural, so why not? 5,343 pages were recently viewed by 1,281 unique visitors. This page was viewed 1 times on Friday, April 19th 2019 9:39pm CDT. © 2019 Seibertron, Inc. DBA Seibertron.com. All Rights Reserved. Established June 2000. Seibertron.com is owned by Ryan Yzquierdo.